While time travel is a large part of the book, One Red Thread isn't overly concerned with the mechanics or science of time travel. It's more about the consequences of McBride's journey. While writing the novel, Wood says he researched dozens of books and stories about time travel and discovered that they rarely discussed the effects that the protagonist's actions had on their present. But that's what really interested Wood, who says, "What I wanted to talk about was coming to grips with your family history... and then what effect does that have on you today?" 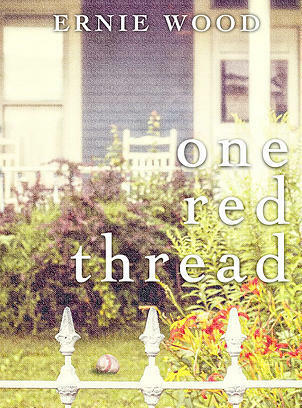 One Red Thread is available everywhere books are sold, and author Ernie Wood will be at Book People on Monday, January 5. 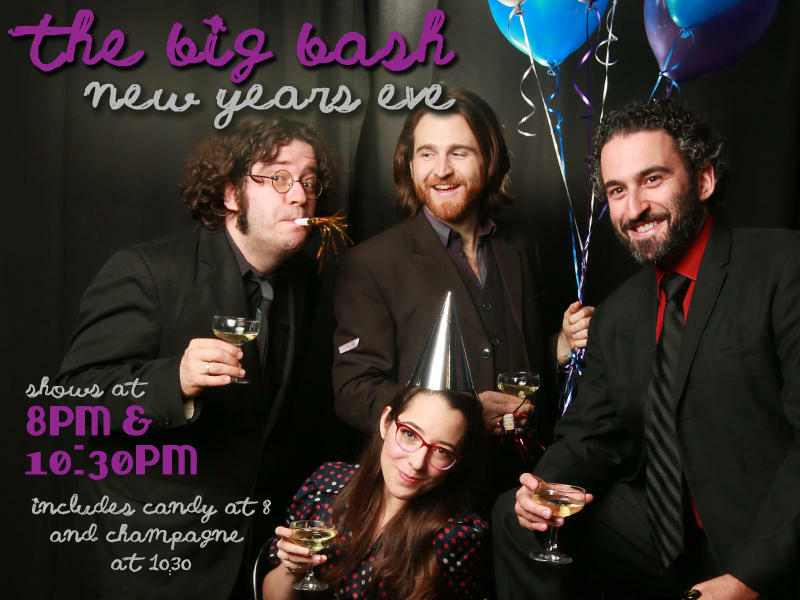 For the past year or so, the talented performers at the Hideout have been staging a weekly Big Bash, and all-star improv show that happens every Friday night at the downtown theater. In each show, a rotating cast of Hideout regulars present a handful of games and sketches, followed by a longer-form improvised "movie" in the second half of the show. 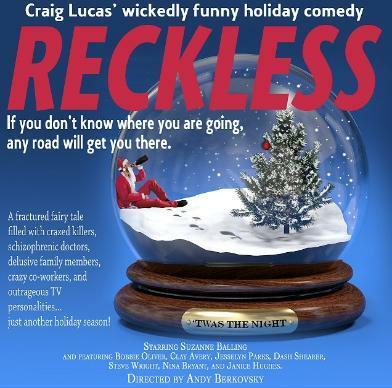 This holiday season, the folks at City Theatre are presenting Reckless, a non-traditional holiday-based dark comedy that the New York Times called "a bittersweet Christmas fable for our time." On Christmas Eve, Rachel Fitzsimmons learns that her idyllic life is not so idyllic after all when her husband takes out a contract on her life. As things continue to unravel, she encounters killers, game show hosts, insane therapists and more. 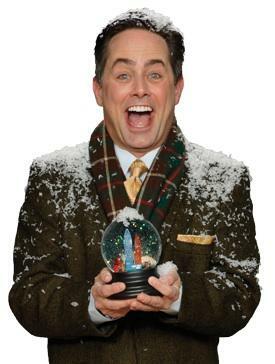 City Theatre artistic director Andy Berkovsky calls it "the perfect little holiday play."